Our handsome boy Jed is from the lovely first Litter of our Iris. 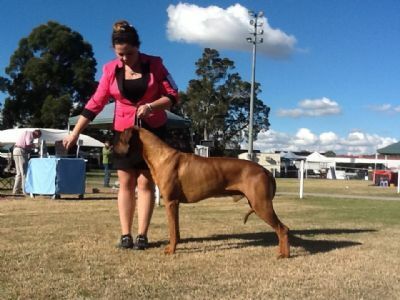 Jed is a Multiple Class in Group winner and recently obtained his Australian Championship. Jed has matured into a lovely and super sound adult dog. We are looking forward to campaigning him. D: Ch. Balnacoin Burnt Toffee E.T. D: Gr Ch. Ozrhode Ari Mystic Gypsy E.T. D: Ch. 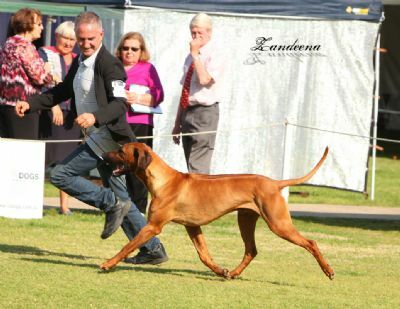 Rhodepark Mi Illusion E.T.